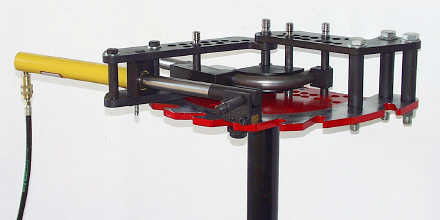 The JD Squared Model 4 tube bender. It's still in the box. I only have one set of dies for it and haven't had a project to inspire me to order another set of dies. It's a very nice unit capable of bending up to 2 1/2 inch pipe. Let me know if you have a project to use it on.